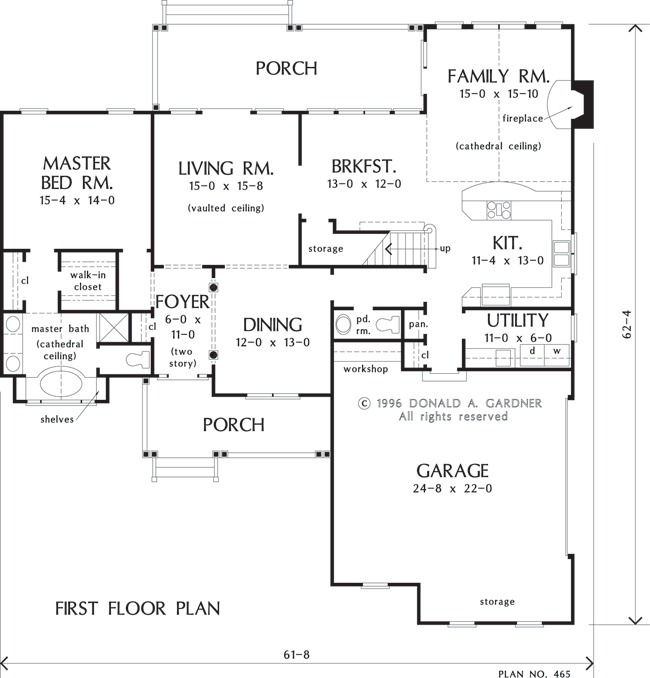 This plan holds enormous appeal for today's homebuyers, with an innovative floor plan that works perfectly for family life. The plan is designed so that the main living areas of the home can be quickly and easily closed off for surprise houseguests. The formal living room and dining room stay spotless while providing privacy for the master suite, and a family room at the rear makes a great relaxed family hangout. The master suite features a private bath with walk-in closet, separate shower and garden tub, and an enclosed toilet area. 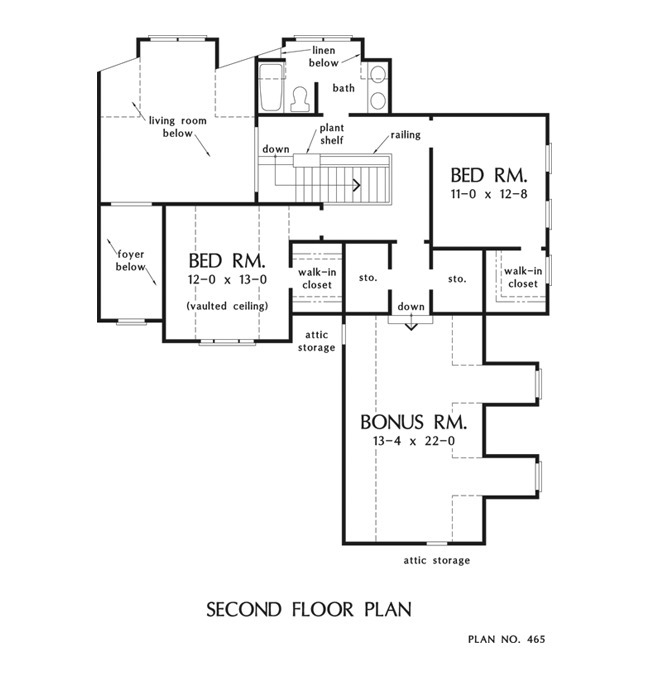 Upstairs, two bedrooms share a second bath, while extra storage flanks the entry to the generous bonus room. 1st Floor: 1816 Sq. Ft. Bonus Room: 447 Sq. Ft.
House Dimensions: 61' 8" x 62' 4"
Great Room: 15' 0" x 15' 10"
Foyer (2 Story): 6' 0" x 11' 0" x 18' 0"
Great Room (Cathedral): 15' 0" x 15' 10" x 16' 0"
Kitchen : 11' 4" x 13' 0" x 9' 0"
Living Room (Vaulted): 15' 0" x 15' 8" x 18' 0"
Storage (Other) : 4' 10" x 6' 0" x 8' 0"
Storage (1st Fl.) : 10' 6" x 3' 4" x 0' 0"
Storage (2nd Fl.) : 4' 2" x 6' 8" x 8' 0"